One of our readers, Rudiger Wolf, has done some pretty extensive research to decide on what camera system he wanted to settle on. In this article, he wanted to share his findings with our readers and hopefully make it easier for others to select the system based on their particular needs. When Rudiger sent me an email earlier last week and asked if it would be helpful to share his findings, I responded to him that it would surely be beneficial. Photography Life is all about sharing knowledge and helping others to make healthy choices, so I was thrilled to have the opportunity. Enjoy! Having owned several cameras, and always trying to keep my Gear Acquisition Syndrome in check, I decided to compare systems on cost, weight and size. My hypothesis was that full frame is more expensive, weighs more, and takes up more room than mirrorless APS-C or four-thirds, and that the same is true for APS-C vs Micro Four Thirds. Prime Lenses plus two zooms with 35mm equivalent focal lengths of 24mm, 35mm, 50mm, 85mm, Macro (varies), 24-70mm and 70-200mm. B&H web pages provided the cost, weight and dimensions. With that target set of lenses, would the difference in cost, weight and size be noticeable? I chose lenses from Nikon, Fuji and Olympus/Panasonic for my research. Nikon, with at least thirteen lenses to choose from has the most choice. Fuji has seven, with zooms lacking a fixed minimum aperture. Olympus has all seven, plus more, with Panasonic adding even more choice. UPDATED: The below comparison now includes the Nikon 1 system, as requested by our readers. Big thanks to Greg Ward for providing the information! Bottom Line, the laws of physics prevail. Micro four-thirds is lighter and smaller than APS-C and by a huge margin more compact relative to full-frame. That is a big difference if you are carrying the weight. However, with the smaller size comes a huge penalty – the physical size of the M4/3 sensor is almost 4 times smaller than full-frame, which obviously has a huge impact on dynamic range, colors, depth of field and ISO performance. Interestingly, cost (based on B&H pricing as of 3/20/2014) is within $660 ($3,800 to $4,460), between the least expensive M4/3 and least expensive Nikon equivalent (enthusiast). So if you disregard size and weight, the price/performance ratio of a full-frame DSLR system in terms of image quality is much better when compared to M4/3. Camera bodies are excluded from this comparison, but you can add those up and do the rest of the math. Nikon has the most robust selection, with very high end (expensive, heavy, large) lenses, and good, but not pro grade enthusiast glass (less expensive, lighter, smaller). Canon has a similar set of lenses. I did not check those out, as this is the comparison of different size sensors and their accompanying lens systems. Fuji still has a very limited lens selection and comes really close to Nikon’s full-frame enthusiast lens selection. Note the difference in weight and total volume though. A high-end Micro Four Thirds system is not cheap, but look at the weight and total volume savings, even compared to Fujifilm. Olympus and Panasonic team up to offer the widest selection other than Nikon or Canon. This set is a little less expensive than Nikon/Canon, weighs anywhere between ½ and 1/3 of the equivalent full frame, and takes up roughly 1/3 the space of full frame. The point of the above article is not to show the obvious – that a full-frame camera costs the most, weighs the most and comes with the size, or that Micro Four Thirds is the smallest and lightest system. That’s a given, once you factor in the sensor and mount sizes. The comparisons above are to look at ratios and think about what you are giving up or gaining when looking at different systems. Full-frame cameras have a lot to offer in terms of image quality and building an enthusiast system won’t set you far off from building a similar Micro Four Thirds system. At almost four times larger sensor size, you get superb image quality, amazing low light performance, but a pretty hefty load that will take plenty of space in your bag. If low light performance is not that important for you and you prefer a smaller and lighter system, you can see that Micro Four Thirds can be between 2.5 to 4 times smaller – so there are potentially significant space and weight savings there. However, that smaller package comes with a relatively high price premium. Fujifilm APS-C is the middle ground here, with average weight and space savings. Sort of a “sweet middle”, having image quality better than M4/3, but worse than full-frame. There is no right or wrong – take the above information and decide what matters more for you. Did this exclude the Nikon 1 system, because Nikon has basically been severely negligent in lens creation? I’m interested in how the Nikon 1 stacks up to Olympus in terms of portability and price. Camera system comparison, the best argument yet for buying a camera with fixed lens. One of the selling points for the Sony RX10, which will shoot 24-200mm at a fixed aperture of f2.8, even selling at $1,300 for a point and shoot, is no need to buy and haul around a prime lens plus two telephotos. I’ve looked at many sample images produced by this Sony RX10. What you see is what you get. I believe it’s time to move on from my Nikon D3100 rookie camera. You forgot about the Sensor Size.. F2.8 on 1″ Sensor is not comparable to 2.8 on any bigger Sensor. It is like F7.6 when it comes to DoF, and this is nothing special. And this doesn’t include at least one body. Price and weight difference would increase if at least one body was taken into account. Very useful comparison for anybody starting to assemble a system. I’m confused. Is picture quality and feature set not being considered here? If not, what is the point of the comparison? Obviously, price and weight are balanced by other features or everyone would be taking pictures with their cell phones. Okay. Makes a lot of sense now. Thanks! The effort to do this exercise is appreciated, but I am not sure what the overall value is in having such precise numbers. We already know these things intuitively! It just confirms that every system has compromises and no system is perfect for every need. The Olympus E-M1 can do some of the these things, but the image quality isn’t good enough for me. Nikon has been catching a lot of grief lately — much of it well-earned! Even so, I will continue using the more mature Nikon system and wait (impatiently) for them to make their mirrorless move. Don’t worry. Fuji will issue firmware updates that make many people forget they should have fixed all these prior to launch. It simply doesn’t. I moved from Nikon’s D700 down to the Olympus E-M1 and I am getting better photos in all respects. Dynamic range is about the same and colours are way, way better on the Oly. Images from the Oly are sharper and if you ask me, the high ISO performance of the E-M1 is more usable than the D700 by a stop. Far enough, there is a 5 year difference in the technology of the two, but if you’re shooting Nikon FX you have to go to the D800 to get equivalency body wise with the D700 and that comes with a much bigger price differential. Photographers are being surprised by micro four thirds technology and image quality every day. You have to weigh up all the factors in making a decision on a system. You can have more than one system if you can afford it. I did, but what I discovered was that I only wanted to take one system with me (the smaller one) and the FX system sat gathering dust. Extremely interesting, my search for a compromise between CSC and Full frame began 4 months ago. Being a Nikon D800 user and D7100 with uber heavy pro lenses, I wanted a kit that was lightweight, but still gave me good IQ for every day and holidays. My search for that compromise became the biggest change to my photography since the change from film to digital! Using a local camera shop I was able to have limited hands on experience of Olympus D M1 and Fuji X. In the end I decided to buy the X-E2 kit and from that moment on everything changed. I started doing direct comparisons between my D800 and X-E2, I had had the D800 for 18 months so knew what I was looking for. Immediately I noticed that as my knowledge of the Fuji increased it started to creep close to my D800. Ok, in extreme low light Nikon won, just. I then bought the X-Pro1 kit with the 18mm and 60mm primes and this secured my passion for Fujifilm CSC. After an enormous amount of soul searching I bought the X-T1 kit, grip etc and after 3 weeks I have now sold my D800! I am now, apart from wildlife which I still use my D7100 for, an X man. This is where the hole is with CSC, mirrorless CSC just won’t cope with the focus needs of moving birds. When it does and it will have to or Fuji’s proposed super zoom will be useless without sophisticated AF tracking, I will probably sell my D7100. That’s my journey and I am producing images comparable to FX at a fraction of the weight and cost. What became a quest for a travel and everyday kit, resulted in a new direction. I love it. I know the feeling! Remember, I warned you on nikonians that Fuji will really make you think about your Nikon collection. Even though I sold my D800 first before the Fuji, the Fuji got me to sell the rest of my Nikon stuff. You did Neil. The only fly in the ointment, so to speak, is my T1 has gone back to Fuji as it’s affected by the light leak problem. However, the positive is that Fuji immediately admitted the responsibility and arranged return immediately. Shame Nikon delayed admitting anything and doing anything about them until pressured. What is the point to buy a compromise? Micro4/3 or APS-C mirrorless are something between point and shot camera and FF camera. 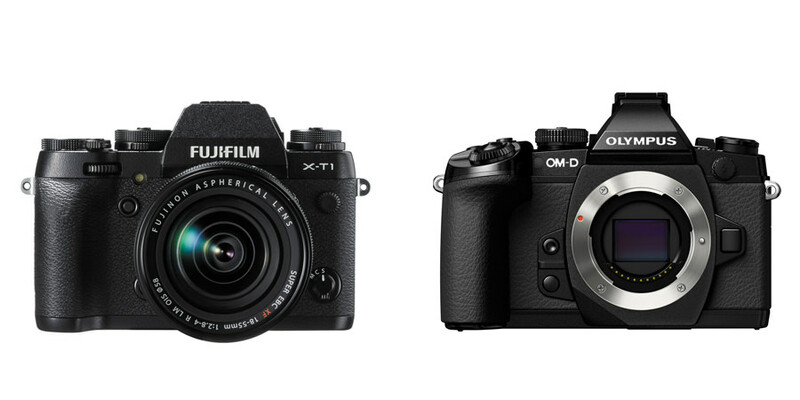 Few months ago I was selling my FF system and buying fuji X-E2 (that I still love) because it is smaller. When I was to the shop and try it (I’m not talking about picture quality) it appeared heavy and big with its 18-55 lens. Excellent Quality but too big for me. The idea to move from FF to Fuji APS-C was because during every day or during holiday with my family or when I travel for job, I hate to bring with me 2Kg of the FF system. Now I use iPhone camera most of the time. The fuji system is not so compact and also the micro4/3 with 14-42 lens has some physical important dimension and there is always the problem to change lens because 14-42 is not enought and and and…. Finally I decided to keep the FF for indoor portrait and landscape. For every day use or when I travelling I’m going to buy the Canon G1X MKII because it has a sensor bigger then mico4/3 and has an integrated zoom 24-120mm (equivalent in 35mm) and I’m not pushed to buy additional lens (you cannot remove it) because this is the best useful range (IMHO). Probably I’m wrong but I decided to keep the best system for art work and a smaller one for post card picture (most of us when travelling are taking always basic picture of churches, palaces, gardens…. and there are kids or the wife that call you all the time… eheheheheeh ). And I hope Nasim will compare this advanced point&shot Canon camera with micro 4/3 system (there is no reason to compare with FF or DX system). Obviously, using equivalent technologies, a larger sensor will always perform better than a smaller one. You can’t cheat the laws of physics. Does the camera I’m considering (or using) perform well enough for my needs? Try to be honest with yourself. You have to consider the medium your images will be displayed. If you don’t print huge billboard, chances are there won’t be a significant difference between MFT and fullframe. Sure, dxomark may show incredible scores for latest FF offerings, but what is the real difference in real life? Very very small. In fact, I would challenge anyone to tell images apart between FF and MFT in a blind test. The threshold of good enough quality has been reached some time ago in MFT land. We’re not going to display our images differently in the future. We still use our eyes to look at pictures hanging up at walls. More resolution won’t make your pictures better. Resolution, DR, color accuarcy, etc. is, as of today, excellent and it won’t be invalidated by future technology. I used to have a Nikon D800. Unmatched IQ, but I used it when I felt like lugging it around. If I was not on a photo outing, I’d just not take it with me. I then bought into MFT as I wanted something smaller for when I didn’t feel like lugging the FF kit around. And guess what? I started to use my D800 less and less because the MFT would give me 90%+ of what my FF was delivering. It’s been 8 months now since I fully switched to MFT (Oly E-M1) and guess what? The reason is very simple: the IQ I get from the E-M1 is good enough for me. I don’t print 2 by 2 meters billboards. I don’t shoot over ISO 1600 on a regular basis. Regardless of the future developments in sensor technology may bring to the table, the pictures I get from my current E-M1 are great. The way we are looking at pictures won’t change in the future. You take pictures, print them and display them on your walls. Whatever new tech come around, the process will be the same and it won’t invalidate the great frames I’ve shot with my E-M1. With new models getting released so often, it is very easy to forget what photography is really about. It’s the process of capturing what surrounds us; it’s about enjoying the whole process. I enjoy using my E-M1 much more than my previous DSLR kits. The IQ I get is great and more than good enough for me. Oh and by-the-way, current MFT sensors beat all Canon APS-C sensors which contradict the fact that larger sensors are always better than smaller ones. If one find MFT IQ insufficient for their needs, then they should not even consider Canon APS-C cameras. Yes I agree with you because most of the time for my post card style picture, my actual iPhone is enought even I print them. But sometimes when I want to make art photo, I need a FF and ISO above 3200 because I shot with ambient light and indoor and during evening. Now since this Canon G1X MKII costs less compared to Oly 12-40mm f/2.8 and just a little more of the 60 f/2.8 or 17 f/1.8, then I want to give a chance to this advanced point and shot camera that has an integrated lens 24-120mm f/2,0-3,9 that it looks better (on a paper) to standard zoom kit of many dslr or mirrorless. The weight is only 500gr (lens included) and probably since I will not print any poster the IQ will be comparable to micro4/3 or FF but without any neck pain and with perfect zoom range. And probably also the DOF and ISO performance would be better compared to micro 4/3 since the sensor is a little bigger. Then I will have excellent FF and a good point&shot with just small money efforts. 1. Weight, providing that the compromise in terms of image quality is minimal! I have enormously large hands, in fact my UK wedding finger size is Z, the biggest they do before having to have a special made. So, the X-E2, X-Pro 1 and X-T1 are small enough, any smaller and they would be ergonomically impossible to use for me. In fact the X-T1 with its grip is perfect. 3. Holidays and travel. This is a no brainer. Easily transported, light to use over long periods and in my case hiking up mountains is now a breeze, whether on holiday or not. As for compact cameras, I prefer the flexibility of switching between prime and zooms. Zooms for travel, primes serious stuff. On this occasion I do believe that good things come in small packages. Believe me, selling my D800 was a major decision not taken lightly and not just to fund the Fuji. I just could not see the point anymore in lugging around 2K of Nikon apart from wildlife when Fuji does 95% of the FX. – the very good IBIS of these Olympus bodies, which make up for lots of “image quality loss” against the other options. What good is a bigger sensor if you have to use ISO 3200 because of your non-stabilized prime lens, while a µ43rds can be operated with ISO 800? – and yes, a bigger sensor under the same conditions would give better output. So what you also have to consider is: do you – like me – often carry a tripod, and use base ISO? If so, then most of these size & weight comparisons are pretty useless anyway. Otherwise I fully agree. Best price vs. perfomance ratio is with a D600, 6D or A7 body and the lenses you’ll need and can afford. But bare in mind that the higher you go (in resolution), the higher the shutter speed should be, and with missing IBIS thatn can be a problem as well. With full-frame system, at ISO3200 and with a fast prime lens e.g. f1.4, one can handle most low-light conditions. If you try to keep the shutter speed to 1/25th sec limit for handheld. Try to set at a lower ISO, e.g. 800 and move it up as the situation demands it. I find it work for me most of the time, moreover the noise level at the self-imposed limit of ISO 3200 is acceptable and probably very noticeable on a µ43rd sensor. This application is very much for my travel photography, usually the subject is people, and moment need to be capture there and then with no time to setup tripod etc. One other major omission in the discussion is the poor response of the EVF in ILC compared to OVF on the DSLR. Recently tried using my wife’s ILC to capture the changing of the guard at India/Pakistan border, and my frustration with the timing of the shutter release versus what I saw on the EVF. There is a trend for FX lenses to be made lighter, as lenses are updated they tend to be made of new materials without compromising on quality,however they will still have that volume to enable them to capture the light. Rudiger, thank you for sharing your results. It is appreciated. I have a Nikon system, but very often wondered how would it be to switch to Fuji. That system is so loveable, so innovative and Fuji listens to the customers. However, a full-frame Nikon has really good image quality and shallow depth of field, which are physically impossible with a Fuji system. The take-home message from this article (at least for me) was that a good Fuji system can cost as much as a Nikon FF system. Surprisingly. Nasim, have you ever considered a thorough comparison of the image quality of FF Nikons and Fujifilm cameras? Interesting discussion. The most talked about issue seems to be D800 v CSC. When I used my D800 I printed out to 16×12 images or occasionally 20×18. I also printed out the same sizes from my D700 before I had the D800, so what difference did I see? Well, actually virtually none. I now print out the same size images with my Fuji’s for competition purposes. No one has yet commented on any difference in IQ of my images. One tends to forget that the photographers skill is far more important than the cameras performance. Likewise, a well set up composition allowing correct camera settings, will always be better then click and hope. Consider the use of a tripod, essential if one wants sharp focus from front to back as is the requirement of a good landscape photograph. If not used it’s once again click and hope. My point is that no matter what is utilised, dSLR, CSC, Compact, film SLR and Medium format (the last two I proudly still use) it’s really down to the person who “clicks” not the camera. Just as a side note, the Sony NEX system has some very interesting and very capable mirrorless systems as well. I am very interested in the Fuji X-T1, but I am just as equally interested in the newly announced Sony A6000 that is being released in April. I have read nothing but good reviews in regard to this camera. Apparently it is the replacement to the NEX 6 & 7’s, and it will only be retailing for about $650.00 without a lens which is very appealing. I have recently completed a trip to the US, India and Europe and due to heavy travel schedule only had a few days available to explore. I left my Nikon D800 with 24-120 f4 home and bought a Lumix DMC- LX5 to have a lightweight camera with me. This was a business trip so had limited time for photography, but I enjoyed the camera, and accepted the limitations and took some great fun and street images. However, I went into every Camera shop I could find and talked to the customers and attendants in the shop as the culture around photography and equipment fascinate me. I study the work of nature and wildlife photographers and photo journalists. It was clear from my ” research” that the USA consumers are a lot more concerned about equipment and often upgrade and change brands, especially in the UK most discussions revolved around photography, where and what they photograph and a lot less about equipment. They stick with their brands as they system they invested in and how they buy equipment is less driven buy the latest models and specs and more based on replacement after they have used their equipment for an extended time. The same in India who has a massive photograpic population. Yes this is not a scientific study but based on my interaction with shop attendants and customers. I often have the temptation to ” upgrade” go get the longer or faster lens or higher mp body. The new technology as discussed here is very interesting and reasons given insightful. And great fun to debate all matters related to photography. I am often surprised to see the most amazing images produced buy 10 year old equipment. After all, it is the photographer that make the image..
With money and time to burn (whether a wise use of either is open for debate! ), we dither around seeking the “best” solution for our (often) ill-defined needs, responding to wants instead. Camera makers (and other designers and manufacturers) usually know what we WANT, and that it can never be satisfied. They will never produce to current wants even when possible, because then we can be satisfied and hence, not a potential near term customer for their hoped-for expanding market. So, a nuclear bomb that has smaller dimensions than a bunker-buster is less powerful? After all, it weighs less. smaller volume. Choosing cameras is not a ‘health’ based decision. A bit dismissive, don’t you think? When the lens weight alone for the Nikon “pro” system is three-quarters the entire carry-on limit of many airlines, and the lens weight for the “enthusiast” one closes the gap with Fuji to just a few hundred grams, I’d say this qualifies as “useful information.” Not to mention worth knowing for anyone who has suffered through carpal tunnel syndrome or any other infirmity. The only thing missing here is a 1980s or 1990s film body and lens reference point. That would be very interesting indeed as such a Nikon “enthusiast” system could potentially close down the gap with mirrorless almost entirely on weight and size. Now, that would be an interesting goal for Nikon to set themselves. No, I think you missed the point. I still think a meaningless comparison. I stand by that. I think the lists done by an engineer (a very analytic person). I don’t think a helpful post. I do not want to fly your airlines that weigh carry-on cameras. I fly all over the world. Not a pro. Never had someone pull me over to weigh my camera…..unaware of that one. Would never send via checked luggage. Not nowadays. Not ever. Many pro’s use larger formats, check their bags. Like I said, just not for me. Nasim and his colleagues are usually spot on. Their honesty and I believe integrity are unparalleled in our modern world. Too much gushing and sycophantic behaviors in written media. This article was not up to task for me. It is my opinion. So what? Don’t take it personally. A camera comparison in mass and dimensions is same as comparing a Ferrari to a VW and discussing colors and weights. Or a mini and VW and Smartcar….or whatever. Meaningless. I still do not think camera dimensions have anything to do with healthy choices either. My apology if I misconstrued this misadventure or offended you. Interesting data collection, but I think a little bit of a false ‘comparison’. The article closes by saying there is no right or wrong – absolutely agree – but then says “decide what matters more for you”, as if the only course of action is to pick one of the 5 ‘system’ options presented. I think this weighing of the stats/numbers to come up with a ‘solution’ is completely backwards and is diagnostic symptom #1 for G.A.S. – Among the 5 ‘systems’ presented there are essentially 3 different classes of camera bodies which are designed for and (arguably) suited to different photographic tasks. A ‘system’ comparison within rather than between classes would have more merit (but still be a bit of a futile effort). – By focusing on the ‘system’, the article is implying that any ‘serious’ photographer would eventually purchase all or most of the lenses of that system. On the contrary, many working pros will ‘get by’ with perhaps 3 or 4 essential lenses… heck Cartier-Bresson created one of the most compelling bodies of photographic work of the last century with ONE lens. – Maybe not so much for the Fuji and Olympus mounts, but this ignores the possibility (and for many working pros, the reality) that the right lens for the job is often RENTED for the duration of the assignment. – It’s not ridiculous to imagine someone owning multiple ‘systems’ (and not just because money is no object). The FF DSLR for paid or ‘artistic’ work, and the wonderful, smaller, lighter system for vacation or more spontaneous, creative opportunities. I am almost done with my Enthusiast collection. And, I say almost because I suffer the occasional Gear Acquisition syndrome myself. Next up? Probably some teleconverters and then 50mm f/1.8 and possibly a 35mm f/1.8(nikon) or 1.4(Sigma). Occasionally, I wonder about the 300mm f/4. What I have already is quite versatile, so I can take my time on the new stuff. I have an RX100m2 for my lightweight camera, because I didn’t trust myself with an 4/3 system; Gear Acquisition Syndrome on 1 system is bad enough. The smaller systems keep getting better, so it may just be a matter of time. Sums it up nicely. Nikon are being complacent, they are being run in a maddeningly unfriendly and incompetent way, but there still isn’t a “magic bullet” alternative that manages to miniaturize size and minimize the cost. Nonetheless, reading this list and understanding size and weight will be important for anyone who faces old age, physical infirmity, a yen for remote campaign, the desire to mix photography with other tasks, or anything else that makes carrying an FX digital kit a chore. And perhaps Nikon ought to take DX more seriously — or else find a way of engineering the FX stuff as small as they did with their film cameras in the 1980s. I think this is a brilliant initiative – well done. Be interesting to add Nikon 1 and maybe Pentax Q into the comparison. To be honest it annoys me when some people seem to get one rule (perhaps we can even call it a “law” as it’s based on physics?) but not the equally important second “law”. Second law – all other things being equal a bigger sensor needs bigger lenses to fully cover it – in theory the camera should be bigger too – but in practise camera design is driven by the size of the review screen on smaller cameras. The caveats are important – in particular sensor design develops at a very quick pace. So a larger but older sensor may not be better than a newer/smaller one. More importantly the newer/smaller sensor may be “good enough” for more and more purposes – and this can only get better over time. Couple that with smaller lenses and you could have an option to suit some Photographers. After all the old maxim “the best camera is the one you have with you” has never been more true. Can a V2 beat a D4S for low light performance? Don’t be silly! But it was interesting to see the shutter comparisons between the D4 and the D4S were shot on a V2! Having been a keen photographer for over 40 years I don’t think there’s ever been more choice of great gear. The more it encourages people to get out and take photos the better as far as I’m concerned. One more useless comparison between brands and different formats. FX is a different world and to compare to 4/3 is sensless. Who of you guys would take a Hasselblad and compate it to a 8/10 Deardorff ? Who would take care of cost and weight ? Everyone should buy the gear he needs to do his job. Try a Nikon D800 for tabletop/studio portrait/stillife and you will trow away the other crap ! Quite a narrow minded view. In fact, I did the exact opposite. I sold my D800 + loads of lenses to fund… an Olympus E-M1 setup! What?? Why would someone want to do that? Switch from the holy grail of fullframe to the lowly MFT! The funny thing is that I don’t regret my move for one second. The reason is actually fairly simple. Whether we admit it or not, thanks to sensor technology MFT has now reached the “good enough quality” for 95% of applications. The burden to get the last remaining 5% is not worth it. As a bonus I now fully enjoy perfectly accurate AF and “what you get is what you see”, thanks to EVF and mirrorless technology (bye bye prehistoric SLR tech). But all in all, the main upside is actually very simple and can be summarized by this: “the best camera is the one you have with”. you unpolitely missed the point. i found extremely useful these tables for judging systems as whole. owning a ff system i found that it is better going 43 not top and avoiding aps c.
I disagree with the last part about the fujifilm having worse image quality then FF. I have both a Fuji X-E1 and Nikon D800E and in my eyes the image quality of the fuji is similar to the nikon’s in normal light and better than the D800E in low light. It doesnt autofocus as fast and that is the only reason I ever use the nikon instead of my lovely small and light fuji.